Craig Mactavish and the Edmonton Oilers made a couple of moves on friday in an attempt to improve the team. First the Oilers traded stay at home Defensmen Ladi Smid and AHL goalie Olivier Roy to the Calgary Flames for goalie prospect Laurent Brossoit and C Roman Horak. Mactavish followed up the trade with the UFA signing of goalie Ilya Bryzgalov to a 1yr 1.75M contract. Smid is a tough stay at home D-man, the type of player that many fans think the Oilers need more of, the problem is that he’s not great with the puck and certainly isn’t the type of player that Craig Mactavish described as what the team needs on the back end. Mactavish was quoted in the off season as saying that they need quick puck moving Defensmen who can get the team out of trouble with a nice pass, so it shouldn’t have come as a surprise to see Smid traded after the team got off to 4-11-2 start. I also think that the play and puck moving ability of Anton Belov this season helped make the decision to move Smid alot easier. I’m not sure what happened with Olivier Roy but he has really struggled over the past couple of seasons and his time with the organization was coming to an end anyway. While the players coming back don’t make the team better now they certainly do help to address a couple of weaknesses in the organization, Laurent Brossoit becomes the Oilers #1 goal tending prospect and should get a push over the next couple of seasons while Roman Horak will help down the middle in the AHL or may even replace Will Acton on the 4th of the big club. I love this signing, I really do. 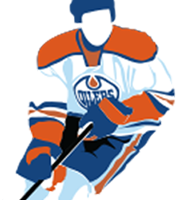 At this point the Oilers are out of the playoffs and really have nothing to lose so why not take a chance on this guy. He’s shown in the past that he’s capable of stealing games and if he can regain that form who know what could happen in Edmonton this year. I really don’t expect that though, he will most likely bring mediocre play but even if he can muster a .910 save percentage it will go a long way to improving this team. I just finished watching the game in Philadelphia and once again thought Dubnyk was the the 2nd best goalie on the ice so I look forward to seeing Bryzgalov have a couple starts to see what he can do. Everybody keeps talking about getting Braydon Coburn out of Phili and I gotta say he played a great game today, he’s huge at 6 ft 5in 225 lbs and he broke up a lot of Oilers rushes today. Even if Bryzgalov comes in and plays great I think the team still needs a player like Coburn and if there is a way to get him out of Phili its certainly worth pursuing. This entry was posted in Player Signing, Trades, Uncategorized on November 1, 2013 by jtunnicliff.